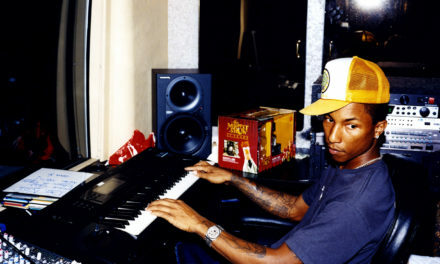 The best producers learned how to make music by working with a few different tools and a limited amount of technology. 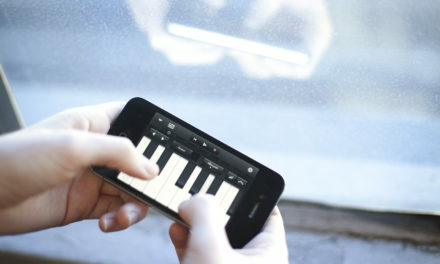 Music technology has multiplied like crazy over the past few years, but that doesn’t mean you should be using every new app or device that comes out. It’s best to invest in a few, high-quality tools and get really good at using them. Thanks to all that music production technology and the lowered costs of music production, home-based music producers are a dime-a-dozen. Chances are, you probably have a few music producers you admire and try to emulate. Make sure you’re staying on top of all of the novice producers you might be competing against for competition. You can learn from what they’re doing and improve upon it. If you’re only testing your mixes with headphones, they might sound pretty bad on a mono playback system. Always test them to make sure their stereo width is balanced and they have mono compatibility. To the untrained ear, high frequencies might not seem that bad, but you’ll immediately use all of your credibility if your mixes are rife with ear-piercing high frequencies. Watch out for this. Inexperienced producers often rely too heavily on bass in their mixes or don’t keep their bass in check, which makes for messy-sounding tracks. Make sure bass sounds aren’t overpowering your music, and be sure to use your EQ’s as well as compression appropriately. This is a big mistake, especially if you’re just starting out. A track isn’t automatically better because it’s louder, no matter how appealing turning up the volume seems. For more insight into why loudness isn’t better, consult this article. They’re there to make your life easier, and using them doesn’t mean you’re less original or creative. It just means that you value your time and want to create a polished product using the best technology available to you. It often takes years (at least!) for producers to become really good at what they do. You have to dedicate several hours a week for at least a year to expect to be good enough for someone to possibly notice. Even then, there aren’t any guarantees. Just put the time in, improve your craft, and know that you always have new things to learn. Don’t try to distribute your work online to the masses until you feel absolutely confident it’s ready. There’s just no point in doing so. There is no shame in asking your peers/mentors for feedback. But try to make your official releases as professional as possible. And if you’re not sure if your work is ready take it to a seasoned professional and have them check/mix it for you. It’s a telltale sign of being a novice producer. The problem is that if you produce with a limiter, it’s almost impossible to make changes to the track later on down the road that sound good. As a general rule, a limiter should probably only be used right before mastering. It’s very common for the end of a track to get cut off or the beginning of a track to get messed up during the exporting phase. Make sure you’re triple-checking to make sure your entire audio file is being exported the way you want it to. This article contains some useful tips regarding exporting. There are so many online communities dedicated to music production. If you don’t know any producers in real life, it’s a great idea to explore these communities and make connections. Having people to answer your questions, help you pick up new tricks, and listen to what you’re making can be invaluable in your development as a producer. Getting caught up in new tech/toys syndrome is a habit that is hard to break, even with years of experience!